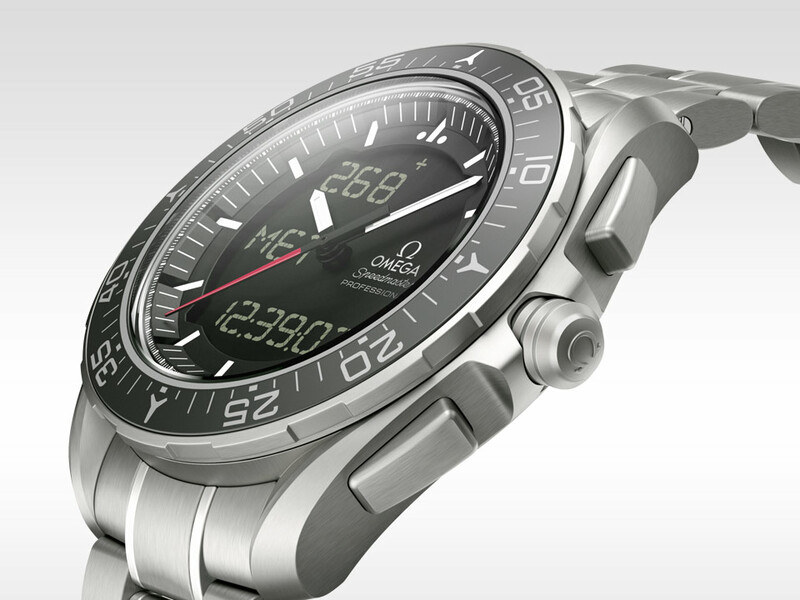 Omega’s pioneering spirit has taken the manufacturer on adventures beyond the earth’s atmosphere and below the surface of the ocean. 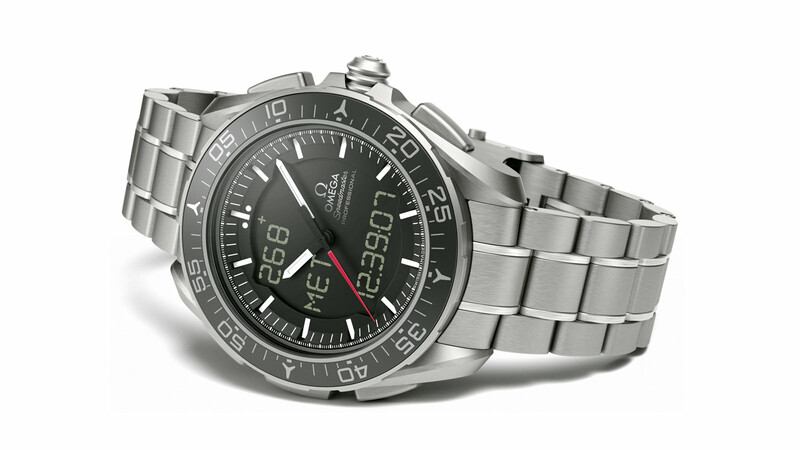 Now the manufacturer launched a natural extension of its legacy in space, the Speedmaster Skywalker X-33. Designed especially for space explorers, this watch is an innovative upgrade of the Speedmaster Professional X-33 released in 1998. The new model is powered by an advanced quartz calibre and was developed to meet the needs of astronauts and others who can appreciate its impressive variety of functions. Moreover, the European Space Agency (ESA) has approved this watch for inclusion in all of its missions. The ceramic bezel features a chromium nitride scale. There is luminescent white Super-LumiNova with green emission on the 60-minute indicator. The 45 mm brushed case is made of titanium and features an also brushed crown and pushers. The black dial with its white indexes and hour markers, has a central opening that allows the wearer to read the displayed digital elements such as the time in up to three different time zones, three alarms, chronograph and countdown functions, and a perpetual calendar. In addition to its analogue and digital displays, it tracks mission elapsed time and phase elapsed time. Skeletonised black and white hour and minute hands are coated with Super-LumiNova which emtits a green light. The bold red seconds hand is clearly visible and all hands can be disengaged to allow clear reading of the digital display. The liquid crystal display (LCD) with an electroluminescent backlight features grey segments on a black background. This Speedmaster is powered, as we mentioned above, by a multi-functional quartz chronograph movement, the in-house calibre 5619. It includes a thermo-compensated integrated circuit. This new movement was developed under an ESA patent licence based on an invention by ESA astronaut Jean-François Clervoy. The Speedmaster Skywalker X-33 comes on a titanium bracelet, featuring a fold-over clasp. 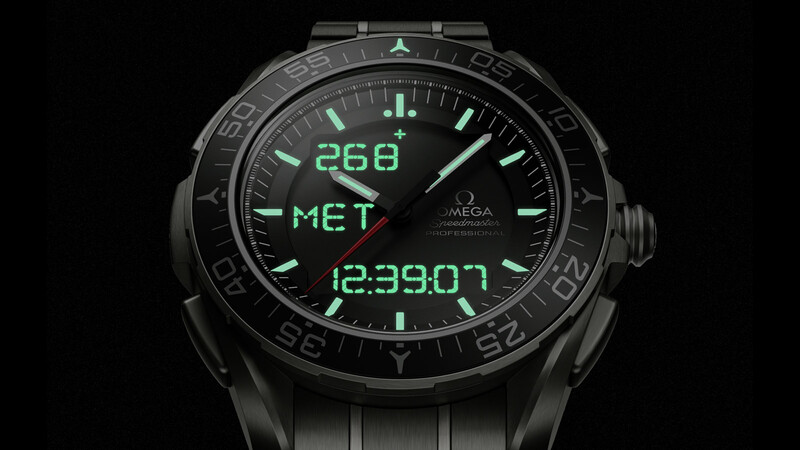 And there’s also an interactive iPad App for this watch, which you can download from the Omega website.